Most Worshipful Brother Cokonougher was born in Chillicothe, Ohio on December 23, 1949 to the late H. Pauline (Anders) and John H. Cokonougher, Jr. He attended Unioto (Union Scioto Township) School through graduation in June 1968. 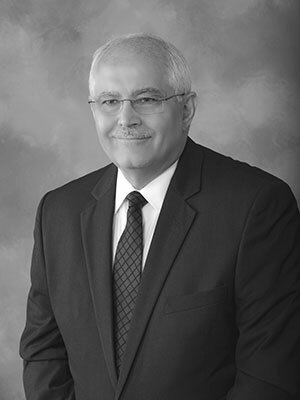 Steve Attended several colleges and universities during the next 30 years, and graduated from Mount Vernon Nazarene College in 1998 with a Bachelor of Business Administration. During School years at Unioto, he worked on the family and neighboring farms. After High School, Steve held jobs at the B & O Railroad, Mead Paper Mill, L & K Restaurant, Halley's IGA Supermarket, and Alber's Colonial Stores. He finished his career working with The Kroger Company in various positions for 38 1/2 years. Steve married Rebecca (Sedgwick) Tyne on February 14, 2012. Collectively, they have 7 children and step children, 14 grand children, and 1 great grandchild. They attend Mill Creek Church of Christ, Raymond, Ohio. Their hobbies are scuba diving, grandchildren's activities, and traveling. Most Worshipful Brother Cokonougher is a member of Linden Lodge No. 637 in the 14th Masonic District, serving as Worshipful Master in 1988 and 2000. He is an Honorary Member of Sunrise Lodge No. 783, Luther B. Turner Lodge No. 732, Groveport Lodge No. 240, Blendon Lodge No. 339, Shade River No. 453, and Somerset Lodge No. 76. MWB Cokonougher is a Thirty-Third Degree Mason of the Ancient Accepted Scottish Rite, Valley of Columbus, serving as Commander in Chief of Scioto Consistory from 2004 to 2006. He also served The Valley of Columbus as Chairman of Finance for 10 years, and Chairman of the Executive Board for 2 years. Steve is a member of Community Chapter No. 227 Royal Arch Masons (High Priest of Linden Chapter 1987), Zabud Council Royal and Select Masons (Illustrious Master 2001), Columbus Commandery No. 69 (Eminent Commander 1993), Ohio Priory No. 18 Knights of the York Cross of Honor, Charlemagne Conclave Red Cross Of Constantine, Aladdin Shrine, Aladdin Past Masters Unit, Kentucky Colonel, Achbar Grotto, Andrew J. White Council No. 45 Allied Masonic Degrees (Sovereign Master 2011), Holy Royal Arch Knight Templar Priests, Lorraine Chapter No. 1 Order of Easter Star, Thomas Smith Web College No. 192, York Rite Sovereign College, and Franklin Count Memorial Lodge. He served as Associate Bethel Guardian of Bethel No. 28 International Order of Jobs Daughters and as Chairman of the Advisory Council for Linden Chapter Order of Demolay. Steve has served on the Linden Demolay advisory council for the last 18 years. Steve's daughter Amie was Ohio Miss Jobe's Daughter in 1991 and his son Jason was Master Councilor of Linden Demolay in 1997. MWB Cokonougher served the Grand Lodge of Ohio as District Education Officer from 2001 to 2002 and as District Deputy Grand Master in 2003, 2004, and 2006. He was appointed Junior Grand Deacon by Most Worshipful Brother Ronald L. Winnett in October 2007 and has moved through the Grand Lodge offices in the normal manner. Steve was elected to Serve the Grand Lodge of Ohio as Grand Master and installed into that position in Cincinnati on October 18, 2014.